Packing a suitcase involves a lot of technicalities. 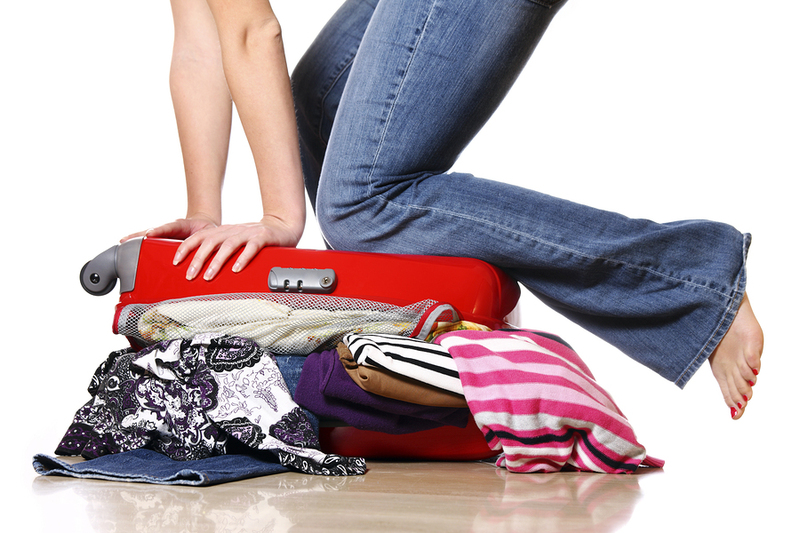 People make several mistakes while packing their bags. They don’t understand the fact that while packing your bags you must utilize the space at its best and minimize the wrinkles on your ironed clothes. You might follow a certain system for packing your suitcase, but here are a few tips which might help you pack your suitcase in the best way possible. Remember that you must pack everything in order. You should start off with shirts, which should be left in the bottom; then you should put your dresses, in case you are a woman; and in the end you need to put the pants. This order will help you minimize wrinkles on your ironed clothes. When it comes to putting tops inside the suitcase, you need to stack them. The ones which easily get wrinkled should be at the bottom while the ones which don’t get wrinkled easily should be placed at the top. While packing your shirts, make sure that the sleeves are folded inside the torsos. This is going to help you avoid wrinkles on the sleeves which become a big problem for everyone later on as they have to iron their shirts all over again. Moreover, while folding your shirts, make sure that you fold them in half from the bottom. This will make a rectangular shape; something which is extremely easy to fit into a suitcase. For women who want to carry their dresses, it is advised that they drape the longer dresses in the suitcase in such a way that the ends hang from the sides. If there are any pants and skirts, you must first fold them in half lengthwise. All the pants and skirts must be stacked on top of one another. The rule remains the same: the ones which get easily wrinkled should go in the bottom and the others should stay on the top. Jeans is considered to be the least wrinkled cloth so it should always come on top. After you are done, fold the stack in half. After putting in shirts and dresses, it’s time to put the stack of pants and skirts on top of them. Once you are done, fold the ends of the dresses on top of the pants. When it comes to accessories you must roll the ties closely, pack the undergarments in the smaller pockets, and place the necessary toiletries in a carry-on bag.